Bette was born in Columbus Township, Anoka County, Minnesota on October 27, 1924. She was the only girl and the youngest child of Charles Kunshier and Mary nee Dahm Kunshier. She said she was the apple of my Dad's eye and got away with a lot. She was 22 years younger than her oldest brother, Clifford. Sometime before 1920, Charles and Mary purchased a farm in Columbus Township, just north of the Joseph Kunshier, Sr. and Marie Tiller Kunshier family farm. In the 1920 Federal Census, they are listed as farming their own place. Betty told us that the soil was peat and they were able to raise cabbage and root vegetables which they trucked to, and sold at the St. Paul City Market. (I have written about Charles and Mary in an earlier blog about the Kunshiers). see that here Bette told us that while Charles was a truck farmer, the St. Paul paper ran an article on Charles having the largest Russet Potatoes at the City Market. When Bette was 15 , her father, Charles, died of stomach cancer on the operating table at University Hospital in Minneapolis. He had symptoms for several months. He told his wife Mary Catherine to stop making “all that good German food,” because he couldn’t digest it. Charles thought his condition might be related to an injury earlier in the year when he was struck in abdomen by a fence post on the game farm. 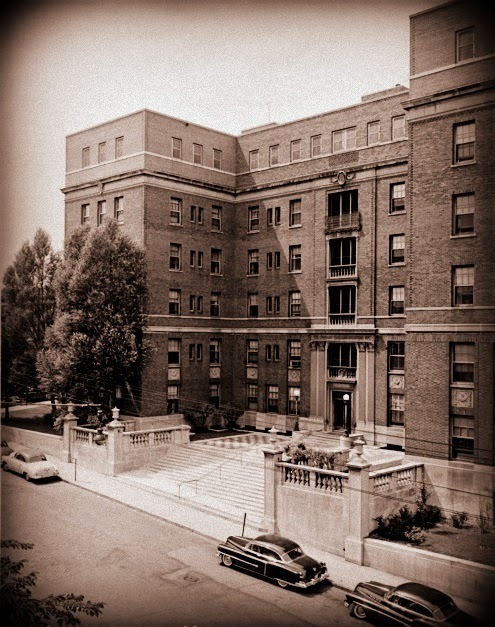 Because they had no insurance, University Hospital was the only place they could go. Charles thought he would not survive an operation and said his goodbyes to the family. Bette said he died later that day. (The Minnesota Death Index gives the death date as September 30, 1940) He was buried in Oak Park Cemetery in Columbus Township. 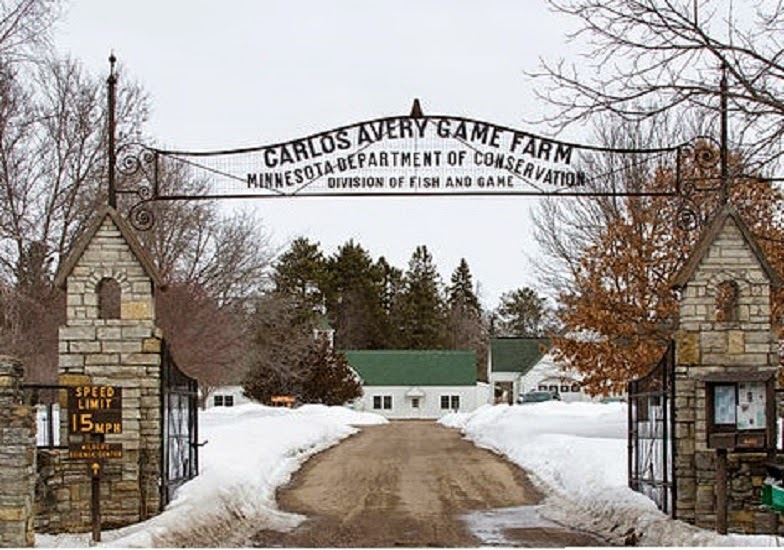 Their farm had been purchased by the Carlos Avery Game Farm and used as a tree and shrub nursery. The family continued to live in the farm house until Charles died. Three of the sons married and left home. Royale continued to live with them and worked on the Game Farm. Bette and her mother Mary moved into a “cottage” on the Carlos Avery Preserve (later known as Carlos Avery Game Farm see more here) Mary was hired as a cook for the employees. 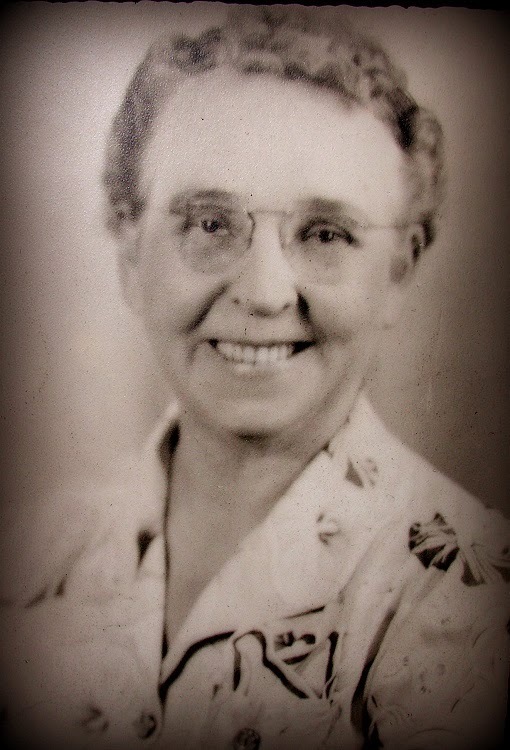 Bette worked before and after school as a mother’s helper, and also for a time on a dairy farm. She said she was too tired to do her homework but some how managed to graduate from Forest Lake High School with the class of 1942. After graduation, Bette wanted to go to St. Paul and get a job. Her mother said "not without me", so they moved together to an apartment in one of the brown-stone row houses on Cedar Ave, Saint Paul. 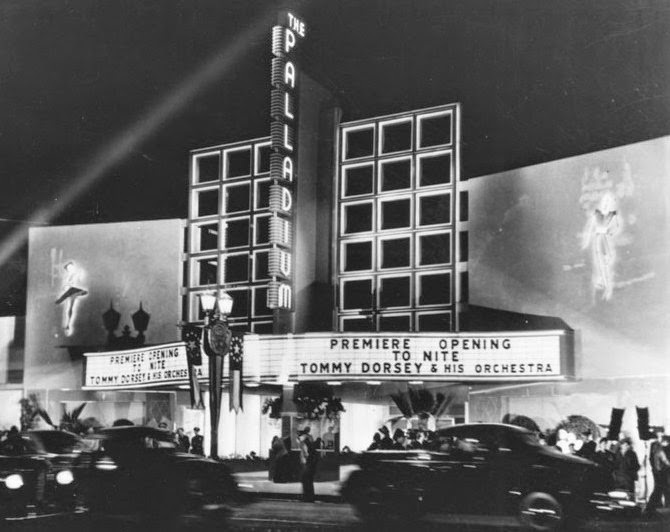 (now demolished). Mary applied and was hired as a cook on the second shift at Miller Hospital. One of Bette's jobs was at Taystee Bakery. She told us she put the marshmallow frosting on the Snowball cupcakes. She got really sick of them because "you could eat all you wanted". She also worked on the bread line removing defective bread packages. She still likes Taystee bread and once in a while a Snowball cupcake. Bette met Norman Loose in St. Paul and fell in love. Norm was originally from New Ulm, Minnesota. When they met, Norm was "working on airplanes at Holman Field on Plato Street." (Boulevard) He was ten years older than Bette. 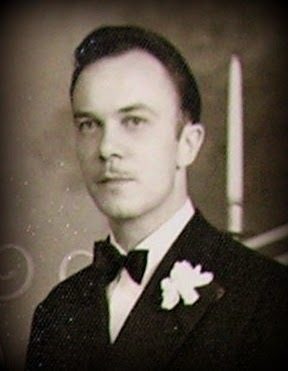 Norm was soon drafted for the armed forces in World War II. Bette went with him to California where he served in the Coast Guard. They were married in California on February 14, 1943. After their marriage in 1943, Norm and Bette stayed in California, living in San Diego and San Francisco. Their daughter Mary Jean was born on April 9, 1944 in Los Angeles. But, Bette missed her family and requested they move back to Minnesota. 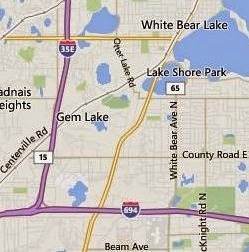 Norm agreed and they bought a farm on County Road E near the village of White Bear Lake. They repaired the house and buildings, and started a commercial nursery. A son, Mark Allen Loose was born to them on March 17, 1956 and died a couple of days later. They had no more children. In 1973 they sold the farm to a real estate developer with the right to stay in house for five years. Norm found a house in the St. Paul Newspaper want ads. The owners needed cash and he quickly closed the deal. Norm had the house ready for their occupancy within one year. It had been a two flat but he changed it back to a single family dwelling. Norm wanted to start a clock repair business in part of the structure. Daughter Mary married James W. Hayes on May 2, 1970 in Ramsey County, Minnesota. A daughter, Holly Hayes was born to them in 1977. Norm died on October 17, 1986. He was 72 years of age. Holly Hayes is married and lives in Portland, Oregon. Her husband David is a real estate photographer. Mary is 70 years old and lives nearby. Holly received her undergraduate degree at George Fox University. She furthered her education at the University of Edinburgh, Scotland and then Oxford University, England. She spent two years at Oxford and completed the Master of Philosophy Degree. Her present career is as a professional web publisher and photographer. 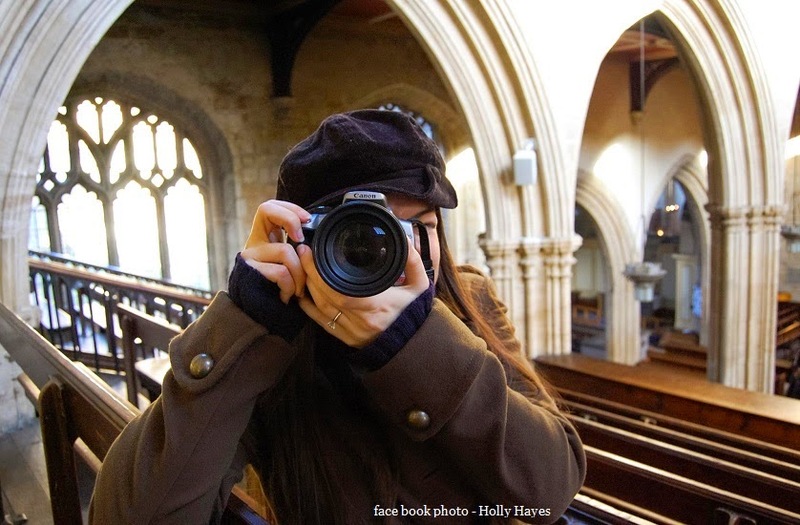 Holly Hayes with her camera at Oxford College. In 2008 Holly made a trip to the Czech Republic looking for anything about the Kunshier family. We are hoping to meet Holly and share family information. Shan and I had the opportunity to visit with Bette on the day before her 90th birthday. She is sharp, witty and a bundle of energy. She still drives a big Cadillac. The morning of our visit she had been helping at her church's noon potluck. Norm had been raised a Lutheran and when she married, she converted to Lutheranism, although her parents had both been "strict Catholics". We asked Bette to remember some of her father's siblings. She fondly remembered Katherine “Katie” Kunshier Schmidt as a kind and generous Aunt. Her husband John Schmidt "was stern but indulgent". Katie would come to Columbus Township to pick up Bette and bring her back to St. Paul, where Katie and John would buy her a complete new outfit – right down to the undergarments. Bette and other family members thought of Katie and John as wealthy. Their home was on Thomas Street, north of Calvary Cemetery. Bette said it was a Victorian house with gingerbread trim. John Schmidt worked for the railroad. Their sons were policemen. Bette has vivid memories of Joseph Kunshier Jr's wife, Theresia “Theresa” Groess Kunshier. “Boy could she swear" Bette reiterated a story told by Iris about a priest singling out Theresa and her daughters who had arrived at church without head coverings. Theresa walked out of church and never went back. “Theresa was a wild-cat, Joseph (Jr.) was a pussycat,” Bette said. She remembers hearing the story of Joseph going to bed in protest over Theresa's temper, leaving her to do all the chores. Joseph Jr and Theresa retired to a little house across the street (on the old Anderson farm.) Joseph Jr's son Ed and his wife Margaret lived on the original Kunshier farmstead. Bette said she agrees with Iris, that the farmhouse was in bad condition and she doesn't think it was ever painted.